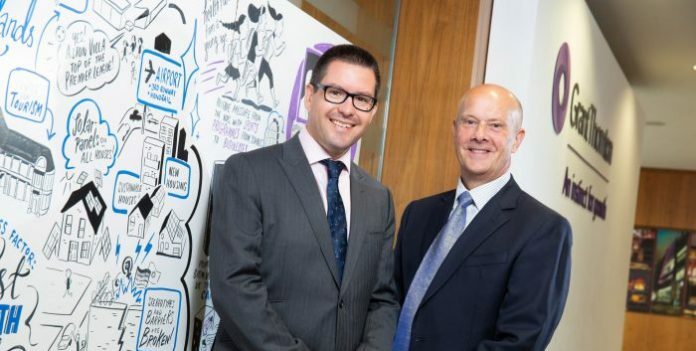 Business and financial adviser Grant Thornton in Birmingham has become the founding strategic partner of Medilink Midlands, a new organisation created to support and promote innovation and economic growth in the region’s life sciences and medical technology sector. Medilink Midlands has been formed as a strategic body to support its current 250-strong membership of businesses, academic institutions and clinicians across the West and East Midlands; “The Midlands Engine.” Its key focus will include developing region-specific support programmes and initiatives, which will be delivered through the long-established Medilink West Midlands and Medilink East Midlands regional offices. The Midlands Engine Region is home to over 1100 Life Sciences businesses, employing over 30,000 people, 19,000 of which in Medical Technology. It is home to 27 Universities, and its 7 Medical Schools train 20% of the UK’s medical professionals. There are 50 NHS Trusts in the region encompassing 130 NHS hospitals, including 14 specialist hospitals. The Midlands is also the UK’s centre for Trauma and Defence Medicine with the tri-service Royal Centre for Defence Medicine located in Birmingham, and The Defence and National Rehabilitation Centre will also soon be located near Loughborough. Richard Stone, Director, Medilink Midlands, added: “Grant Thornton’s founding strategic partnership with Medilink Midlands will benefit our members enormously. The firm’s expertise in so many business-critical disciplines will be a great asset to our new pan-regional emphasis, which aims to support our members’ economic growth and also raise awareness of the high standard of academic institutions, businesses and healthcare professionals delivering world-class products and services within our region. Grant Thornton’s connection with the Medilink network was strengthened at the firm’s West Midlands Inquiry last year, which brought together leaders from public, private and third sector organisations to discuss how to work together effectively and help create a more vibrant regional economy.